Railpictures.ca - Robin Somers Photo: A GO Transit EMD F59PH is seen arriving at Malton GO, heading Eastbound towards Toronto Union Station, on a warm April morning. | Railpictures.ca – Canadian Railway Photography – photographie ferroviaire Canadienne. Copyright Notice: This image ©Robin Somers all rights reserved. 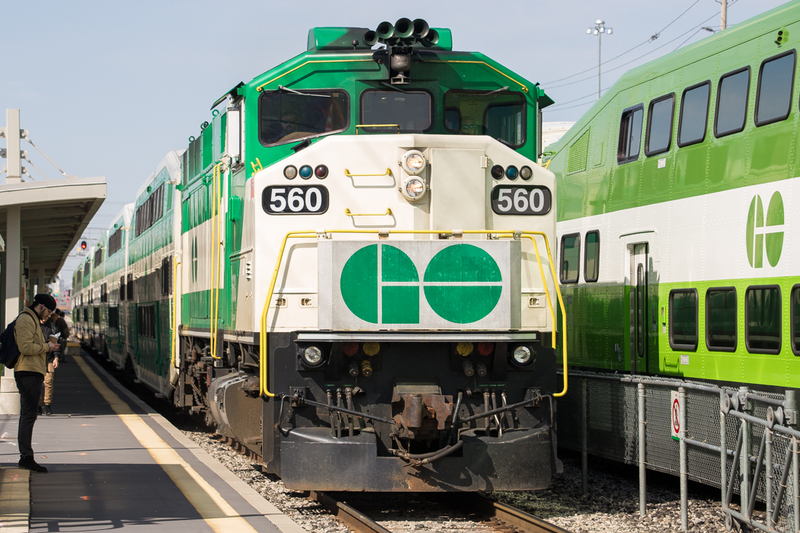 Caption: A GO Transit EMD F59PH is seen arriving at Malton GO, heading Eastbound towards Toronto Union Station, on a warm April morning.